Home » Yoga Thoughts » She’s Gonna Blow! Though you may use a different name for it, if you have ever had a cat or dog you are familiar with what our family refers to as “the rips.” This is when, out of the clear blue, your pet leaps up and begins dashing madly around the house. You know when you fill a balloon all the way up and then let it go? That’s what it looks like when our cat, Jake, gets the rips. There is no predicting which way he’ll zig or zag, or whether he’ll hurl himself up or down the stairs. He is simply flying through the house, careening on an explosion of pent up energy. It’s hilarious to watch. I watch Jake rip around the house and our puppies sprint in crazy circles through the yard with a little awe. I can’t recall ever suddenly springing up and running pell-mell anywhere. And, come to think of it, I’m pretty sure I’ve never seen anyone else do this either. In fact, watching my furry nut jobs the other day made me wonder if people build up explosive levels of energy like dogs and cats. And then I thought of my teen-aged daughters whose mood swings can explode as suddenly and as insanely through the house as any case of “the rips” I’ve ever witnessed. It’s less hilarious to watch. Yes, we all build up energy that needs to be released. But, because of our more developed minds and more complex emotions, when the cork pops on our pent up energy, the explosion is more likely to come from our mouths than from our bodies. Perhaps because all that energy is being expelled through a smaller opening, the force of the explosion and its aftermath is often more significant than a good case of “the rips” in a pet. While my dogs may tear up some grass and my cat might knock over a picture frame, this damage is nothing compared to that wrought by ill-considered words blurted out in the heat of an explosive release. Which is to say, we should try to avoid these energetic explosions. This is why we walk our dogs daily and why it’s smart (not to mention, fun) to spend a few minutes tossing a wad of tinfoil for the cat to chase. In other words, it’s important to build something into our days that provides a regular release of energy. 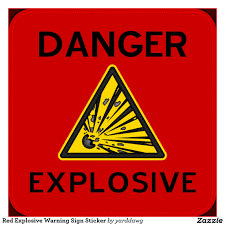 Interestingly, though our explosions tend to be more verbal and emotional than physical, they can be avoided (or minimized) by a physical release. Taking a run, going for a swim, hiking through the woods, or playing a game of tennis are all great ways to blow off steam. They’re even more effective if you leave your phone at home and just focus on running, walking or playing. Let yourself be as completely consumed by your physical experience as my pets are in their periodic “rips.” This focus helps you release not just physical energy, but it clears your head and sorts through emotional clutter. There is nothing like working up a good sweat to reset a foul mood, set the stage for a great idea or get you ready to navigate the rest of your day. I’m going to go out on a limb here and suggest that practicing yoga is an even better choice. Yoga is the perfect reset button. Because the practice engages us at every level – physically, mentally and emotionally – it changes us at every level, too. Yes, yoga leaves us sweaty and pleasantly tired. But it also leaves us with a clearer head and a better sense of how we’re feeling. After practicing yoga, we’re much less likely to react to our feelings or to jump to conclusions. We’re simply more settled and centered. Not only do we feel less pent up emotionally, but we’re more aware that these feelings are fleeting. Because of this newfound awareness, if we find ourselves in a challenging situation after practicing, we’re much more likely to pause, take a deep breath and then to choose our response mindfully. We’re much more likely to act like the person we hope to be. This has certainly been the case with me. While I still have my moments (which I sincerely wish exploded in “the rips” rather from my mouth), they are much fewer and further between than before I began practicing yoga. I am better able to tell when my energy is building up and get to my mat before I need to don a warning sign that says, “She’s gonna blow!” Better yet, all my practice is making me better at breathing through these feelings or thoughts as I wait for them to pass.